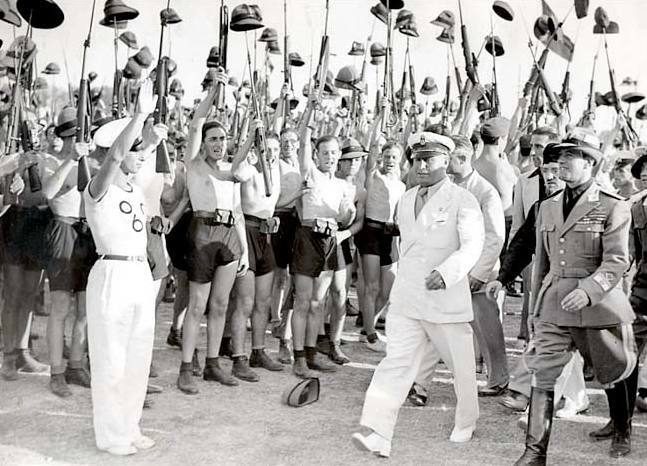 Italians will shoot a film about Mussolini’s return, Variety, an America’s premier weekly, had reported. Italian film companies will adapt a script of German Hitler comedy with regard to the leader of Italian fascism. German film “Look Who’s Back” that was successful in theaters tells a story about Hitler who finds himself in 2010 and becomes a celebrity of mass media. In addition, Hitler’s “Mein Kampf” is planned to be republished in France and Germany in the near future, first time in 70 years. Some of the European leaders are linking growth of interest to fascism in Europe with the migration crisis. This entry was posted in Revival of fascism and tagged fascism, Germany, Italy, Refugees. Bookmark the permalink.